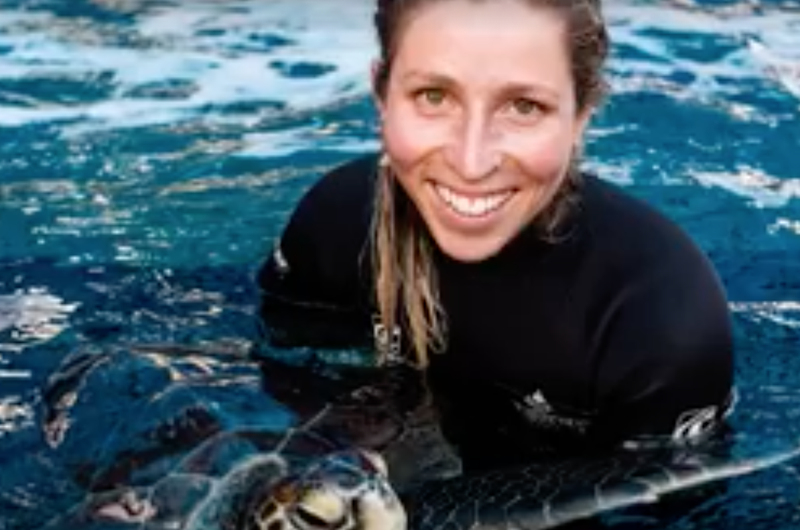 Meet Bob the turtle and Talitha Noble, the woman who rescued and rehabilitated him after he suffered because of plastic waste dumped in the ocean. Turtles have it tough. Out of every 1 000 that hatch, only one is expected to survive to adulthood. In the face of this staggering attrition, Talitha Noble is attempting to give them a greater chance at survival. And they need all the help they can get. Trading of eggs and shells, entanglement in fishing nets, the loss of habitat because of coastal development, and increasing ocean pollution are all catalysts for their decline. “It’s terrible and quite scary when you see a turtle that is about to die because of your species’ impact on it,” Noble says. Noble is the coordinator of the turtle rescue rehab release programme at the Two Oceans Aquarium, where she gives individual care to turtles who wash ashore on the West Coast. Staff clean, feed and keep the turtles in quarantine as they recover. In addition to injuries from natural predators, Noble has also had to assist with the impact of human behavior. In 2014, she took in a green sea turtle with severe bruising, a fractured bottom shell, exposed bones and scales missing. Even with focused attention, the turtle – named Bob by staff – remained unable to eat or dive until an extraordinary amount of plastic was found and expelled from his stomach. “Turtles are particularly vulnerable to plastic pollution because they eat jellyfish, and plastic bags floating in the sea look a lot like jellyfish,” Noble says. She’s determined to educate people on the dangers of single-use plastics, which are consumed by turtles as easily as they are discarded by us. Saving the life of a sea creature is as easy as choosing not to drink from a straw. “Just picking one thing can make a huge difference,” Noble says. As it stands, our waste is killing turtles from the inside out. But if we commit to being more conscious of our habits, the efforts of rescuers like Noble will not be in vain.